It's the most Aussie dish since the Bunnings sausage sizzle. There’s something about messing with sacred foods that we Aussies just can’t get enough of. Now, a concoction so wrong it’s right has appeared on the streets of Melbourne – the meat pie burger. 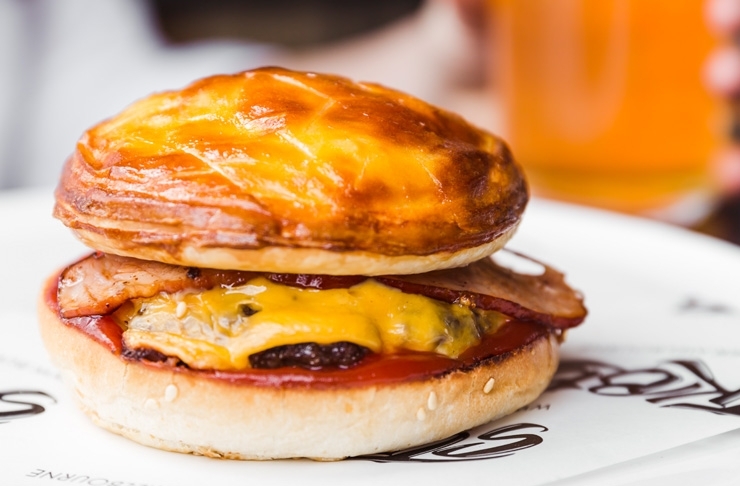 In honour of the upcoming AFL finals series (though we’d argue it’s a perfect fit for fans of all codes), St Kilda Burger Bar and the Grosvenor Hotel have come together to create what’s possibly the most Aussie dish to grace the earth since the Bunnings sausage sizzle, and we’re not mad about it. The greasy masterpiece — dubbed the “Greedy Sheedy” — is a work of fast food art, consisting of a soft-on-the-inside, crunchy-on-the-outside pan de mie bun topped with a tender beef patty, crispy bacon, cheese, tomato sauce and – the star of the dish – a Grosvenor meat pie. 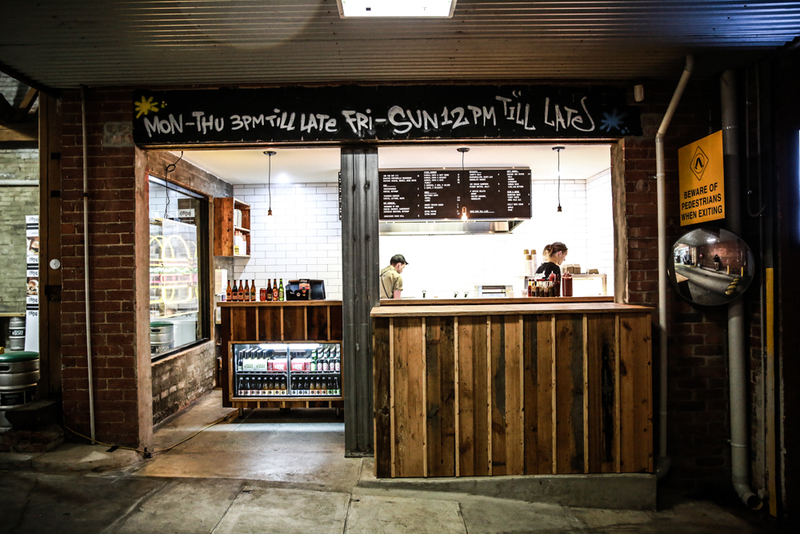 It won’t be around forever, so if you’re keen get the ultimate footy feed fix, you can get your hands on it at St Kilda Burger Bar at 10 Brighton Road, St Kilda.